Shipping runs better via the cloud than with software. For decades, shipping and transportation management software applications have been providing mostly the same types of functionality, running the same way, and suffering from the same limitations. Maybe you hit the problem of quoting one price to a customer but having to pay a higher price later, because the rate data in your software was old. Or maybe you felt cheated paying $10,000 to license an LTL tariff file, which is essentially a carrier price list. Or perhaps you’ve struggled with staffing the shipping department, because users have to be experienced at flipping through 4 different software applications or websites. Shipping software applications do provide some good tools for shippers but our cloud shipping network gives us a chance for a fresh approach. Pacejet Cloud Shipping Network was built to leverage carrier connectivity, ERP integration, and cloud platform technology in an entirely new formula that is more accurate, more powerful, more flexible, and less costly than shipping software. Rather than just running the same shipping software on “somebody else’s server”, we chose to engineer new processes, make new assumptions, think “shipping network” instead of “shipping software”, and create a new breed of solution that outperforms software-only shipping solutions. When Pacejet quotes or captures a shipping price it asks carriers directly through an online connection that gets a quote in real-time using a shipper’s negotiated rates. Pacejet does offer a tariff-based rate option to support small carriers or legacy situations, but the process is geared for online connectivity rather than being designed for data-driven calculations. For the shipper this method is maintenance-free and always accurate because the solution is asking for the latest rates --- every time you quote or ship. Why is that different and why should you care? Today’s freight pricing agreements are a complex maze of rules involving factors that are constantly changing. Fuel surcharges, accessorial charges, container dimension rules, freight classes, zip codes, discounts, and more --- make it difficult to see the true cost, manage prices you charge customers, and cleanly compare carrier service choices. Mistakes are very expensive --- for example, having out of date fuel surcharges or an out of data software calculation could understate costs by $2 per shipment for a week, causing you to understate freight prices passed along to customers, and ultimately costing you to absorb an unexpected cost of $1,000-$2,000 for the period. And unfortunately, you might not even see the mistake until you get the carrier invoices. Pacejet is a multi-carrier shipping network solution with one user interface, ERP integration, and carrier connectivity to manage all of your shipping activities. Click a freight quote button in your ERP and Pacejet transmits order information to all of your carriers, gets shipping services/prices/times from all carriers, helps you make a guided choice, and updates your ERP with the selection. Click a ship button in your ERP and Pacejet transmits packing list detail out to carriers, optionally gets an updated freight quote, processes shipping transactions, prints labels, prints bill of lading or export documents, and automatically updates your ERP. The user experience is easier and more consistent because it’s the same regardless of carrier, resulting in faster processing, fewer errors, and reduced shipping expense. Why is that different and why should you care? If you use multiple carrier apps and websites for shipping, then you have more complex training and support requirements. You’ll need to train users how to ship differently in each application, including how to handle more difficult scenarios like international or how to diagnose messages they receive from each application. Freight quotes may not be possible at all or you may not be able to compare services/rates/times between carriers. Users will need to know how data is mapped differently from your ERP into the different shipping systems and how to handle end-of-day processes for each software package. Staff turnover can aggravate training requirements and making carrier changes means you rip out one software application, put in an entirely new one, and re-train everyone. The Pacejet cloud shipping network runs on an “elastic” cloud platform (Amazon EC2) with resource-sharing, high-efficiency scaling, high-durability backups, etc… to deliver an enterprise shipping solution at a 4-8x lower cost than you would spend on your own systems. The Pacejet cloud platform allows us to continuously improve the user experience, constantly innovate and release new features, and manage every day operations --- so shippers can just run the solution. The Pacejet solution formula results in a significantly better value for enterprise shippers by providing a better user experience and continuous improvement with a significantly lower total cost of ownership. Why is that different and why should you care? To run legacy shipping software there are many upfront costs to buy a server, buy Windows licenses, purchases SQL Server database licenses, pay for user software licenses, and more that can easily add up to $30,000-$40,000 or more. You might also need to spend $10,000 on LTL tariff licenses with regular IT maintenance support to update your shipping system data. You would need to budget an additional $10,000-$30,000 for onsite consulting services to help install, configure, and train users. And finally, you need to plan on regular IT consulting assistance to help with software upgrades, server and PC updates and backups, monthly patches, and other normal maintenance, which could be $1,000 per month for 10-15 hours of consulting. Even the cost of electricity for one basic server is $20-$40 per month. Pacejet provides multi-carrier freight quotes that operate as an ERP-integrated process for sales order entry and also via web services for your e-commerce platform or other applications. Not only does everyone get the latest/accurate information on freight cost (see #1 above) but everyone has access to see carrier services, transit-times, and prices for the carriers you choose to make visible. With multiple sales channels and the increasing importance of e-commerce and shipping costs, having instant-access to a variety of competitive shipping options and costs can make the difference in all of your selling efforts. How is that different and why should you care? Shipping software was typically built in the era before ecommerce, CRM, and other solutions were widely used. So it’s likely that your software application does not provide a web-service solution that allows one, consistent freight quote solution everywhere it’s needed in your business. And even if your legacy shipping software does integrate freight quoting into your ERP, provides a web service, and you’re willing to manage network and firewall setup issues to make this rating visible to your e-commerce or CRM solutions --- you can still find yourself with inaccurate freight quotes if the software is not connecting with carriers in real-time. Pacejet provides a “shipping network” of many different Parcel, LTL, 3PL options, so you can respond to customer requests and choose the carriers that work the best for your needs. And because Pacejet uses a plug-in architecture, we can quickly and easily create new carrier connections, manage upgrades over time, and make new carriers available to you as we expand the network. Shippers can activate new carriers, change carriers, and choose specific business uses for carriers without replacing their software or ERP integration. Because Pacejet manages a network of carrier connections and is constantly adding options, shippers can forget about technology, don’t have to build and maintain multiple integrations, and have flexibility to use new and different carriers as your needs evolve over time. Why is that different and why should you care? Turning over your entire shipping volume to one or a few carriers can help you negotiate a better deal for a moment in time and perhaps allows you to use just a few “free” carrier websites or PC apps to run shipping. But once you are locked in, using one carrier, and have tweaked and tuned your business process to use only tools from that carrier --- your shipping options narrow. How will you avoid manual shipping when a customer requests other carriers and is willing to pay if you use them? If your ecommerce business is growing and you want to use regional parcel options because of really great fast/local service, your system can’t handle it. What leverage do you have to re-negotiate deals next year if your carrier knows you are locked in by your shipping software? With the Pacejet Cloud Shipping Network, security-controlled access is provided from anywhere with a web browser and subscriptions offer unlimited users. You decide who can search shipments, track a shipment, or run a shipping report without worrying about the technology. If your sales teams need online freight quoting, you can provide access. Need to process shipping as an ERP-integrated process or handle special miscellaneous shipments directly, not an issue. You decide and change your usage any time without worrying about software installation, configuration, or access setup. Why is that different and why should you care? With multiple PC-based applications and websites, access to information and shipping activities is restricted to those who have physical access to the PC’s and spread across multiple software packages. Need a consolidated shipping report for a customer and you may have to run several reports from multiple systems. Need to track a shipment and you may need to know which carrier was used before you can easily find it. Remote users want to run freight quotes or track shipments and it may not be possible or practical. Pacejet subscriptions include continuous and automatic updates that bring new features to shippers without any work on their part. New features like consolidated shipping are added to the solution and designed to work across carriers, so you can improve efficiency while retaining carrier choice. New carrier choices such as Pitt Ohio Ground or Spee Dee parcel are added to the carrier network and made available, so shippers can reduce costs of high-speed parcel delivery. New and improved ERP integration choices for SAP, Infor, NetSuite, Plex, and more add value and options as your other systems change, evolve, and improve. Why is that different and why should you care? The typical software maintenance and upgrade process requires users to pay 18-20% of initial software license costs every year for access rights to software patches and upgrades to maintain and improve the system. If you budget 20-40 hours of consulting assistance each year for patches and upgrades, that’s another $2,000-$4,000 in costs. And because you need to make decisions about how and when to manage upgrades for minimal business disruption, most businesses deploy upgrades only occasionally, delaying access to new features and reducing benefits over time. 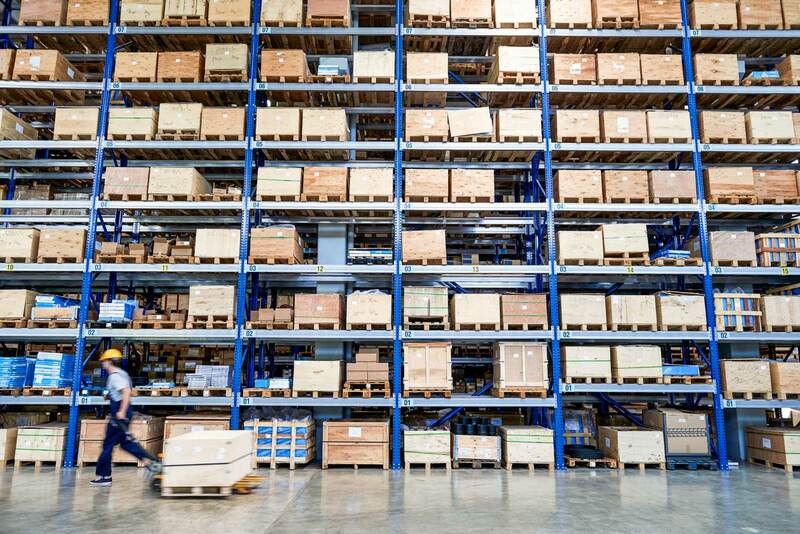 Pacejet provides sophisticated ERP integration and connects with a growing array of cloud services to support a more efficient, easy, and accurate shipping process than software-only systems can support. Carrier connectivity is, of course, a core capability and ensures that users always see the latest rates, correct prices, and have the widest array of choices. Other examples include automatic connectivity to the USPS address database to use the latest information to correct and standardize addresses. Or perhaps your export business is growing and you’ll use Pacejet connectivity with UPS iParcel for optimized international shipping. Why is that different and why should you care? Using multiple PC apps and websites for shipping means you are really running multiple ERP interfaces to import and export data and can encounter mapping differences, inconsistent support across carriers, version upgrade problems, and configuration difficulties to setup multiple ERP interfaces across multiple workstations and multiple sites. The offline operation of many shipping software solutions also means you might ship to incorrect addresses or perhaps trigger automatic carrier correction services which can increase your shipping costs and aggravate customers. And as you work to share data and processes with your ecommerce, CRM, or other applications you can find yourself manually moving and updating data rather than simply connecting systems directly. Because Pacejet is a complete multi-carrier shipping network, it manages a central database of history on your shipments, services used, prices, costs, tracking details, and other information. Standard reports allow you to quickly summarize shipments for today, this week, or this monthly. Other reports allow you to review shipments by carrier, by date, by customer, or other characteristics to understand your shipping patterns or expenses and make better decisions to improve operations. And with easy web-browser access and unlimited users, Pacejet can allow any authorized users to access data and reporting. Why is that different and why should you care? Using multiple PC apps and websites for shipping results in a shipping history that is spread across multiple applications and difficult to access. Users might need physical access to shipping PC’s to run reports or to purchase additional users licenses and then software on additional PC’s before they can gain access. Using ERP-based reporting might be another option but differences between multiple interfaces of the different PC shipping apps can cause data gaps that make it harder to compare and link shipping transactions, costs, and tracking. Because Pacejet is more open, connected, and flexible in how it operates as a shipping network connection between your ERP and carriers, the solution provides greater flexibility as your business changes over time. Adding or changing a carrier requires only activation of that carriers account and doesn’t require you to install an entirely new shipping solution and re-train users. Need to change your ERP system and you can choose to use a different Pacejet ERP connector without altering your shipping process. Choose a new CRM or ecommerce platform and you could connect Pacejet rating web services into that solution to provide easy and automated freight quotes as an additional service. Why is that different and why should you care? Ripping out and replacing software systems every time you change carriers, add a new application, or want to alter your workflow can slow down your business growth and increase your costs. Using multiple PC apps and websites means you need to install, configure, and use a new tool with every change and figure out how to connect it with your other systems. And legacy software that does not provide modern web-based user interfaces, web services API’s, and connectivity with online services will increase your manual labor, slow down system changes, and impede improvements. Shipping runs better via the cloud than with software. Software-only shipping systems have provided good solutions to automate basic shipping needs in the past, but cloud-based solutions like Pacejet deliver an entirely new formula with a better value proposition. Sooner or later, every shipping operation needs to communicate, transact, and connect with carriers and other businesses “outside the four walls” of their operation. And ultimately the need for shipping systems to connect is what gives cloud-based shipping solutions a strong advantage now and in the future. For more information on the Pacejet Cloud Shipping Network, please visit www.pacejet.com, send email to info@pacejet.com, or call the Pacejet team at 877-722-3538.